The 3 Day / 2 Night Uganda tour to Murchison falls National Park (The biggest in Uganda) offers a great opportunity to see the African Big 5 animals namely; Buffalo, Elephants, Lion, Leopard and Rhinos at Ziwa Rhino Sanctuary at Nakasongola. 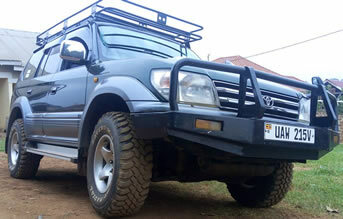 The main tour activities include Rhino tracking, big game viewing in a 4×4 safari vehicle with a pop-up roof for excellent game viewing and photographing, fantastic boat cruise to the bottom of the falls and a nature walk to the top of Murchison Falls. 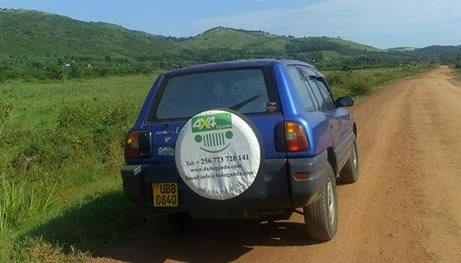 Queen Elizabeth National Park is the second largest wildlife parks in Uganda, and one of the most visited tourist destinations in Uganda, located in western part of the country.